Basically as soon as I open the store tomorrow and get the lights on I am going to give these guys a go. Can’t wait! 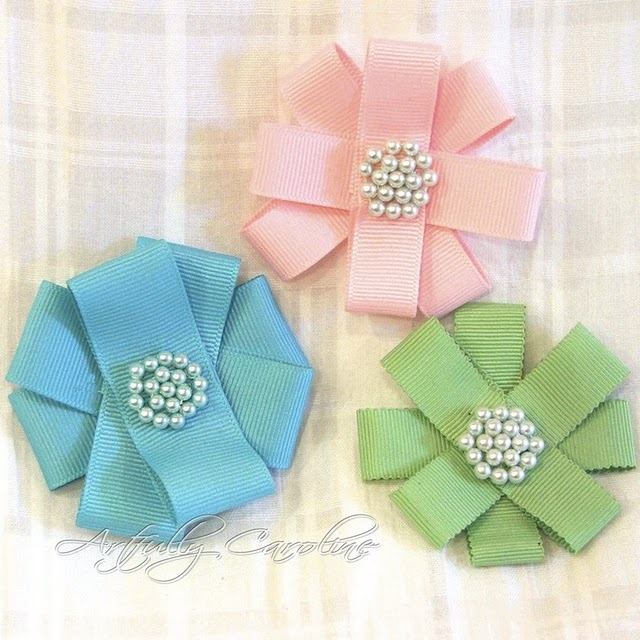 I am thinking the girls will love to wear them on headbands and would also be adorable on the end of another ribbon as a book mark. Thanks Artfully Caroline.